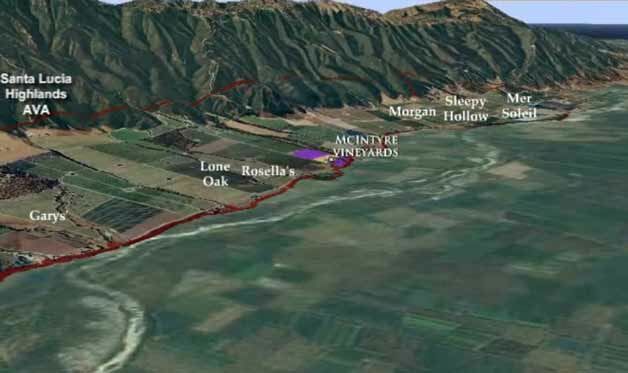 The McIntyre Family Estate Vineyard consists of 37 acres of own-rooted Pinot Noir, known as the “heritage clone,” the oldest Pinot Noir planting in the Santa Lucia Highlands, along with 10 acres of 115, 777 and Swan Pinot Noir, and 13 acres of Chardonnay, clones 96 and 76. 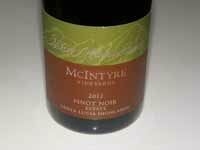 The McIntyre portfolio also includes Pinot Noir planted at Mission Ranch, clones 667 and 777. The McIntyre Family Estate Vineyard was originally planted by the McFarland family in 1973 and historically was used primarily for making sparkling wine. In 1987, the McIntyre family bought the 80-acre property near Gonzales and began to replant portions of the site. Steve McIntyre’s experience as winemaker for neighboring Hahn Estate’s Smith & Hook label led him to be a promoter of the region and he played a major role in the Santa Lucia Highlands gaining appellation status in 1991. Steve earned degrees in both viticulture and enology, graduating from California State University at Fresno with a Masters in Enology. 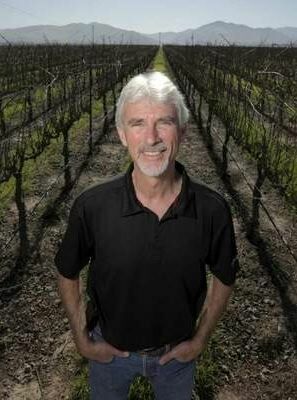 His company, Monterey Pacific, farms hundreds of acres, has planted vineyards for Mondavi, Joseph Phelps and Bonny Doon, and as founding members of the Monterey Wine Company, has produced wines for Bonny Doon, Caymus, Hahn Estates and more. McIntyre’s vineyard plantings were among the first to be SIP (Sustainability in Practice) Certified in the Santa Lucia Highlands. Steve’s own label, McIntyre Vineyards, debuted with the 2005 vintage and has focused on the McIntyre Family Estate since 2006. The consulting winemaker is Byron Kosuge, a well-known vintner who is the son of a University of California at Davis professor. Byron was the winemaker for Saintsbury for 15 years before branching out on his own with B. Kosuge Wines, as well as making wine for Miura Vineyards, Foghorn and Kingston Family Vineyards in Chile. He is also a consulting winemaker for a number of Napa and Sonoma wineries. The McIntyre Vineyards Tasting Studio is located inside the lobby of the Hyatt Regency Hotel & Spa in Monterey and open daily. Visit the informative website at www.mcintyrevineyards.com. The wines from the 2012 vintage reviewed here are highly recommended. The 2012 vintage marks Steve’s 25th year farming the McIntyre Family Estate.